For over 26 years, Jim Bagnola’s acclaimed keynote presentations and workshops have inspired, educated and transformed tens of thousands of employees, managers and executives worldwide. He brings his special brand of interactive and holistic approach to building leadership skills that is relevant, practical and fun. 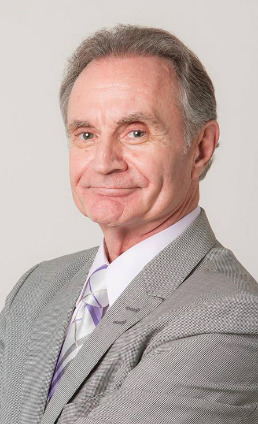 His bestseller nonfiction book titled “Becoming a Professional Human Being: How to Enjoy Stress-Free Work and Personal Happiness Using the Mind/Body/Work Connection” was published in the U.S. and Romania in 2012, and in Japan in 2014. Jim is an executive coach to Fortune 500 company leaders and a Global Mentor for the World Bank, coaching entrepreneurs worldwide. He has a MA in Human Development, Maharishi University of Management, a MA in Applied Psychology, University of Santa Monica, and an honorary doctorate in Management. Jim was awarded the CSP (Certified Speaking Professional) from the Global Speakers Federation and National Speakers Association (only 600 worldwide). He has offices in Austin, Texas, Bucharest, Romania and Tokyo, Japan. Bagnola is the President of The Leadership Group International. He is Chairman of the Board of Leaders Romania and is a frequent lecturer for AIESEC, an international student organization based in the Netherlands. He is a member of the Board of Trustees of Olive Branch Foundation in Ohio. Jim is adjunct professor at the University of Bucharest (Romania), Maharishi University of Management, Pontificia Universidad Javierana (Colombia), Kent State University. Selected Clients: Shell Oil Company, U.S. Secret Service, Marriott Hotels, Siemens, Motorola, Scotiabank, Hella (Romania), Ecolab, Continental Hilton Hotels, Hawaii Leadership Academy and Pacific Leadership Academy, Young Brothers Hawaii and Hawaii Association of Broadcasters. By popular demand Jim Bagnola returned for a two-day workshop featuring "Organizational Team Fitness" and "Change Management: Becoming A Quick - Change Artist. " Day one focused on ​the process of diagnosing current team health and how to turn dysfunctional behaviors into fully functioning skills. Day two attention shifted to facilitating an understanding of change as one of evolution and growth. Jim's fun and creative exercises moved participants to turn learning into action. "I attended your session at Windward Community College last fall and your message has stuck with me. I appreciate your holistic approach to people and the conditioned concept of themselves. The practical solutions offered and more rational thought processes can help anyone who is interested in listening." 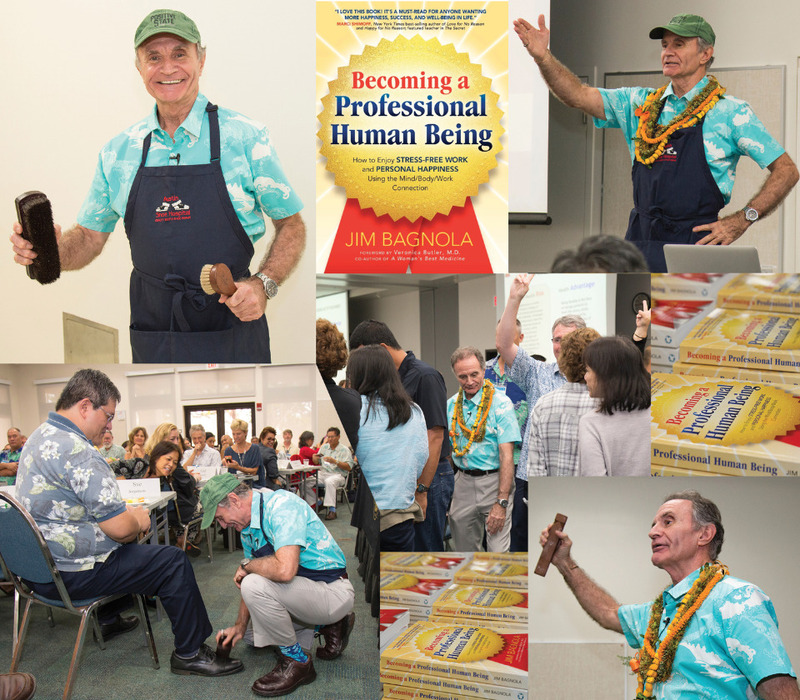 Jim Bagnola never failed to entertain while he inspired attendees to become "Professional Human Beings." 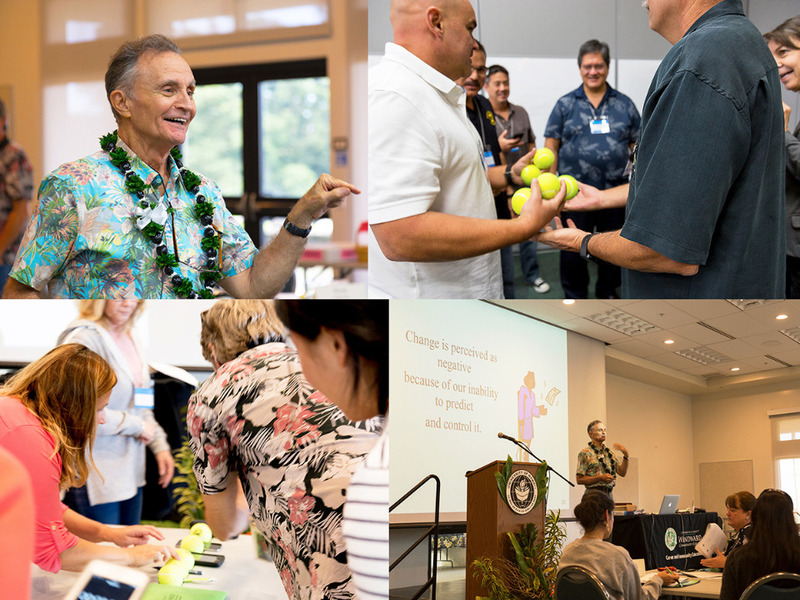 Everyone learned practical ways to enjoy stress-free work and how to gain personal happiness using Jim's mind/body/work connection techniques.